Istoria Ministries Blog: "The Church"- Do You Think People or Steeple? Wade, This article may have brought me into peace about women preachers. I will continue to ponder your point. It makes too much sense to dispute. Thanks. When it comes to women preachers, what women preacher are good at all? All of the ones that I am familiar with are within the charismatic movement or are a part of a liberal wing. I don't know of a sound female preacher. I know several females who are sound theologically, who are amazing communicators, and since I say "pastor" is a verb, not a noun, who are wonderful shepherds and encouragers of other people - it's just that most conservatives associate "the church" with institutions and "the ordinances" with ordination, and so our very definition of "pastor" is different. Idolatry comes in many forms, the concept of "church" as an institution is one, the idea that shepherding (pastor-ing)must be done by a male, is another, that worship is what is done on "the Sabbath" (Sunday)and is not what the whole of life is about, etc, etc. I know John Calvin was speaking of unregenerate man when he said that "man's nature, so to speak, is a perpetual factory of idols", but regenerate mankind is still able to unquestioningly conjure up that with which we are comfortable, and reverence it.
" 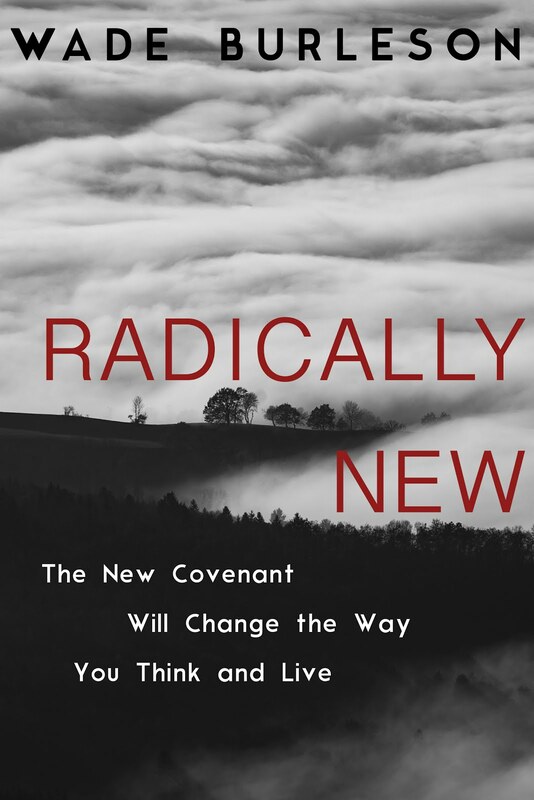 when we begin to see the NEW TESTAMENT definition of the church as a body of believers who serve God and each other as He's gifted us (male or female), then we move down the road of true New Covenant living". not ordaining women because I believe we should ordain NO ONE. Linda - I could be wrong, but I think Wade would agree with rejecting the notion of ordination. JW: I also think that you only know this type of woman preacher because those of us who are theologically sound were not allowed to preach or teach men. You have not heard from so many who are theologically sound and have the gift of preaching. And I believe there are many. BTW: I read this from John MacArthur and bristle. This is beautiful. I believe that every believer in Christ has the authority to baptize and to serve the Lord's Supper. The Lord's Supper is about Jesus, after all. He said, "Do this in remembrance of Me." On Easter weekend, we celebrated the Lord's Supper in our home as a family, including the little ones. It was a beautiful way to explain Jesus' death and resurrection to the children. The Bible says nothing about excluding little children from the Lord's Supper, and I believe that if there had been children in the upper room that night, that Jesus would have included them. It is apparent that the tendency of many, maybe all, respondents is to have every member of the flock filling the role of shepherd. No identifiable leader or under-shepherd, nobody accountable to any acknowledged congregational authority, no examination or endorsement by any presbytery or credibly identified counsel, no measure taken to protect the integrity of the church leadership, since there is no church "leadership". Good luck with that. It is not Scriptural but what does that matter? It feels good. Instead of making a "Scriptural" argument to explain your position, you simply described those who hold a different view than your own as being "not Scriptural" and doing what "feels good." Mr. Burleson is talking about something Scriptural -- the priesthood of the believer. I am talking about something Scriptural -- Jesus sitting down at the table with his disciples, lovingly breaking bread with them and explaining his death, and telling them to "Do this in Remembrance of Me." The Lord's Supper is about Jesus, not about the pastor, not about the deacon who passes the plate, but about Jesus -- about His body that was broken for us, His blood that was shed for us, His love for us, His fellowship with us, His coming again when we will eat the marriage supper of the Lamb with Him. Jesus never stipulated that it had to be a pastor serving the Lord's Supper. We only license for "the state." ON the contrary, when a Spirit-filled person exercise his or her gifts with a selfless, loving attitude, he or she will "rise to the top" so to speak because of his or her "service," not his or her position or "office." HEY WADE....Jeff said I can be a woman Preacher!! He think I would be a really great one!! he has listened to my preaching for 32 years already.....LOL!!! This comment will come across as tangential to the topic but in my view very central to the spirit and core of this post. In the past few years I have been exploring and experimenting as WHY, WHAT and HOW the teachings of Christ (red letter) fit well with enlightenment, scientific thinking and also how it resonates with comparative mythology as in by Joseph Campbell. Since I can not explain logically the supernatural and focusing only on the natural, the sayings of Christ gels well with Jungian psychology and even with the last enlightenment child Noam Chomsky. On the surface all these seem to conflict but below the surface they speak the same language and are of the same spirit. My thinking even if one does not consider Jesus Christ as Lord or God, just looking at naturally, he was way ahead of the culture,, history but showing WHERE and HOW the people migrate to in future. In that context a human being as a church, spirit and Christ dwelling within a person, no gender differences or caste or master slave or inequality as in rich poor or accumulation of wealth and property .... all these jive with the above. BTW what do you think is the form of government in heaven? You might say no government. But it is an organization that closely matches with one that is mostly despised as per our indoctrination and prejudices now. Jesus sets the curve. Not culture. A conservative, Bible-believing follower of Jesus is more radical in love, more comprehensive of equality, and a more selfless servant than any politician on the left, agenda driven feminist, or Christ-denier in the pulpit. That's funny - I do believe, however, you already are a great communicator of the truth and shepherd for souls. You probably want to stay out of the institutional church grind, however. Since a Christian has every right a priest has, that makes us all priests. Billy Graham said the best preacher in his family was his daughter. What do you think about our SS quarterly is telling us to do next week? I’m wondering if the writer is trying to replace/upgrade the Holy Spirit. Wade...I cannot find a church here where we live where I feel free to be me. I find more love and acceptance out side the church here. I am a round Peg in a Square christian community here in COS.I live and love in the presence of Christ outside of the institutional church. I must be careful here, but you are drawing out of me one of my biggest pet peeves. The literature of our Sunday School board is often puerile (childish), repetitive (says the same things over and over again), and often worthless. Acts 6:3 But carefully select from among you, brothers,seven men who are well-attested,full of the Spirit and of wisdom, whom we may put in charge of this necessary task. :4 But we will devote ourselves to prayer and to the ministry of the word.”note :5 The proposal pleased the entire group, so they chose Stephen, a man full of faith and of the Holy Spirit, with Philip, Prochorus, Nicanor, Timon, Parmenas, and Nicolas, a Gentile convert to Judaism from Antioch. :6 They stood these men before the apostles, who prayed and placed their hands on them. Titus 1:5 The reason I left you in Crete was to set in order the remaining matters and to appoint elders in every town, as I directed you. :6 An elder must be blameless, the husband of one wife, with faithful children who cannot be charged with dissipation or rebellion. :7 For the overseer must be blameless as one entrusted with God’s work, not arrogant, not prone to anger, not a drunkard, not violent, not greedy for gain. :8 Instead he must be hospitable, devoted to what is good, sensible, upright, devout, and self-controlled. :9 He must hold firmly to the faithful message as it has been taught, so that he will be able to give exhortation in such healthy teaching2 and correct those who speak against it. Hebrews 13:17 Obey your leaders and submit to them, for they keep watch over your souls and will give an account for their work. 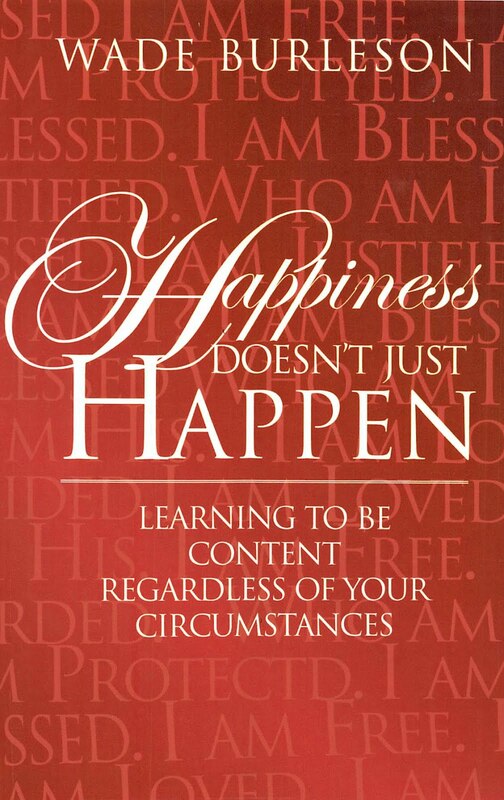 Let them do this with joy and not with complaints, for this would be no advantage for you. Philippians 1:1 From Paul1 and Timothy, slaves of Christ Jesus, to all the saints in Christ Jesus who are in Philippi,with the overseers4 and deacons. :RRR,ON the contrary, when a Spirit-filled person exercise his or her gifts with a selfless, loving attitude, he or she will "rise to the top" so to speak because of his or her "service," not his or her position or "office." Wade, as you know, there are specific leadership positions and qualifications mandated by Scripture to be met in the church. ALL disciples are not "ordained" by God to fill them. All disciples do not fulfill these standards. Although being "selfless" and having a "loving attitude" are indeed precious characteristics that all of us Christ-followers should have, they do not fulfill the comprehensive standards for leadership given by the earliest church leaders and generally accepted by most of us as being from the Word of God. I continue to fail to understand the disregard of those principles and your resistance to acknowledging them. Also, although we have communicated regarding this issue in previous posts, would you mind again explaining to me how you conclude there is no reference to a process used by the early church which we refer to as "ordination"? Hello old friend that shares my initials. I fear that you may look upon the “early church” as an example to follow. Their friction compared to ours is like a mountain to a mole hill. The ‘high and mighty’ ("thousands" Acts 21:20) Christian Jews that obeyed the Law of Moses, looked down on their fellow Christian Gentiles that did not follow their laws. In fact, they didn’t even know all their laws. Does the importance of the Lord’s Supper depend upon the heart that receives it or on the ones that hand it out? If the importance is on the preacher and deacons, then Baptist should get them a Pope. Weren't the 12 disciples men and men who were to lead the church? Why no women as far as we know. BTW I agree with you concerning women and leadership positions in the church as we know it today. In my denomination ,United Methodist,women are considered equals with men in all positions of church leadership.The male leadership issue was one of the reasons I left Baptistom many years ago. As a follow up to my last comment I can attest to the fact that in our denomation we have a great number of excellent educated female pastors and leaders whom I would put up as equal to any male holding the same position in a male dominated role anywhere. Some of the best teaching and explanation of scripture have come from women teachers. I happen to be male myself. As usual, you're right. The dynamics of the early church were certainly different than today's situation. Also, the importance must always be upon Jesus Christ as Lord. Did my suggesting that we have leaders and a means to vet them prior to their being allowed to function as leaders among the collective body of believers somehow portray something contrary to that? I again imagine that most of us are of the same opinion and are only having a bit of disagreeable sentiment due to our limitation in communicating through print media. For instance, I'm totally in agreement of how leadership positions in the church can, and are too often, abused and misaligned. As you mention, it's a matter of the heart, as with the practice of The Lord's Supper, which is also perverted by those who participate in it while not having a spirit consistent with that which is humble and gratefully submissive to our Lord. 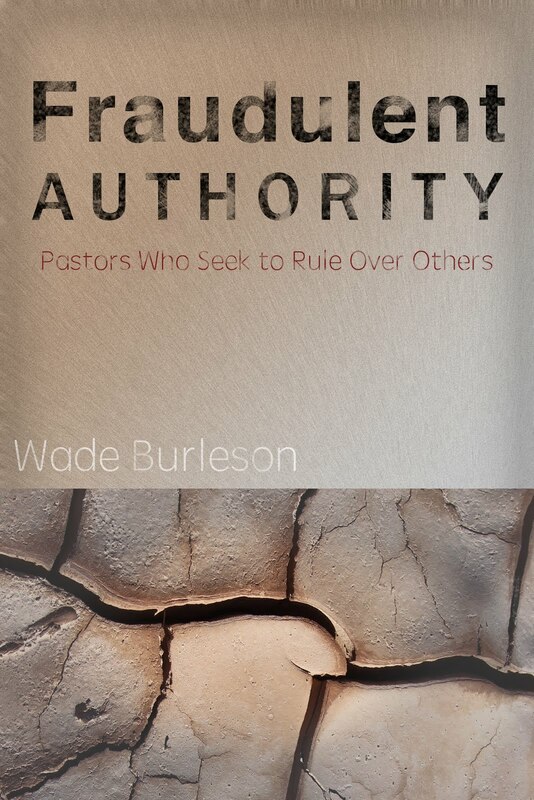 My concern is that my understanding is that some, perhaps including Wade in this case, seem to be proposing that there not be positions of leadership acknowledged and active in the collective body of believers who function as unique leaders for the group. Surely I am misinterpreting the intent of the comments made because Wade himself serves as "the pastor" and I'm sure he is required to meet the specific expectations of that position mentioned in the New Testament. I'm sure you also attend a church that has a person who is acknowledged as being qualified to serve as the pastor, or under-shepherd, or leader, or whatever we want to call it, of that that group. Right? I see no suggestion in this process that proposes a dictatorial pope or pastor or bishop be allowed and as a matter of fact, guarding against having such situations is what the examination and affirmation steps are meant to accomplish. Am I misunderstanding the comments? I have no problem with ordaining people (although I do wish the Southern Baptists would reverse their position on female ordination!). The way I see it, some are gifted to lead, and mature enough to lead, and some aren't. That being said, I am a survivor of clergy sexual abuse. My pastor had asked an interesting question this past Sunday "What is the main thing that intimidates you about fully following Christ?" My immediate thought was "I'm most worried that I will THINK I'm following Christ, but actually be following a person and be led away from Christ." This is a core issue for me. And then I read this, and BOOM, I am reminded of the priesthood of the believer, and, how, as a believer, I do have access to the throne room of God, and the teaching of the Spirit. Thanks Wade! My pastor brought up a core issue, an insecurity of mine, and you helped answer my insecurity. 1. Took a few verses out of context, didn't he? You ask if our church has a person…qualified to serve as the pastor. We have a pastor doing a good job of preaching the Word, but it did not come from his schooling, training, etc. It came from experiencing ‘hard knocks’. 1. think we should leave the Old Convention of Texas and join the New Convention while accepting the BF&M 2000. 2. preach half the sermon about himself. 3. air his dirty laundry from the pulpit. In other words, he has ‘grown-up’. My niece has a divinity degree from SWBTS, but she is only asked to speak to congregations and NOT preach. I think Wade is bringing out there are no second class Christians. I get so tired of this tripe about being a so called conservative makes someone a better Christian that a so called liberal.I even have some not too good friends that condemns everybody that doesn't conform to their so called conservative values to hell. Well let's put a stop to this garbage. First of all anyone that accepts the sacrifice of Christ on the cross for his or her's sins is a Christian as far as I know. Being a liberal or conservative has absolutely nothing to do with that decision as I read the Bible. The statement that being a conservative makes someone love Jesus more is absolute Bravo SIerra and anybody that really believes or makes that statement is an absolute moron. Yea I know there are a few grammatical errors in my comments about conservatives but I think the point was made anyway. Sorry for the mistakes. Thanks for those comments. I "think" that I may be off base in not recognizing that this train of conversation may primarily be addressing women being qualified in leadership roles. When I commented it was speaking exclusively to the issue of our having a need to examine and vet any who fill the roles of leadership and honestly, women in ministry wasn't considered. Very good point about men having less good teachers! Good Grief! Paul based his reasoning on Adam being born first is ridiculous. God chose many to be leaders such as David who was the youngest and Jacob over Esau. Adam’s sin was ‘worse’ because he was not deceived but chose to sin. And women being saved by childbearing…I’m not going there except men would be out of luck if that rule applied to them. When Paul is wrong, he’s DEAD WRONG! "A conservative, Bible-believing follower of Jesus is more radical in love, more comprehensive of equality, and a more selfless servant than any politician on the left, agenda driven feminist, or Christ-denier in the pulpit." You republicans really need to stop this, because you're driving people away from Christ with this nonsense. You really are. When I speak to just about anyone about Jesus and they always refer to a political party, something is definitely wrong. I was actually told that I cannot possibly be a Christian because I vote Democrat. Oh really? You know, there was a time where we were all just Americans, not two parties at war with each other. What happened to that? And what in the world is wrong with us to buy into this bs. A church is not a building anymore than Christianity is a political party. And by the way, Feel the Bern. Ah, anonymous, now the light goes on why you were bringing up conservative vs. liberal! I can't speak for Wade, but I have been reading his writings for several years now, and I am a political moderate who always votes split ticket, and I feel very comfortable with what Wade says. Like Rex Ray says, I think what Wade was bringing out in this post is there is no second class Christians. I have gotten mildly bashed on FB by some friends who are more politically conservative than I am this election season. The strongest vision I have of the visible Church on Earth is at the Crucifixion, when all the disciples had run away to hide and to deny Our Lord, and there only remained St. John the Beloved, Mary the Mother of Our Lord, and Our Lord Himself, crucified.
. . . nothing man-made there: no 'building' save the altar of the Cross, and only the devoted love in those who stayed and witnessed. I believe The Church today is much the same . . the whole Church stands witness to Christ crucified and risen from the dead. We stand near to Him, and in doing so, we stand near to one another because He is the One who holds The Church bonded together in its loving devotion to Him. The mystery of 'The Church'? If we speak of HIS Church, we must speak of the whole Body of Christ. Some of the best teaching I have ever heard has come from women teachers in my United Methodist Sunday school class. Also if it weren't for these volunteer women teachers we would be in a heck of a situation. In my church women preach,take up offerings,give sacraments during communion,and just about anything else men are engaged in. Question for Wade. Do you allow women to preach in your pulpit? Seems to me that if a woman were to sing a solo in church she would be in effect be bring a message to the congregation. She would be in effect preaching. Anonymous said;"You republicans really need to stop this, because you're driving people away from Christ with this nonsense." Sadly, you touch on a real problem we're having. If I were a professing Democrat it would be difficult to attend an adult Bible study class at my church. That's sad. It's not so much that people would not welcome you and love on you but it would be difficult to stay around when the subject arises relative to our President, Democrat party candidates, etc. It would also be difficult for a homosexual who is looking for some form of redemption message to come discreetly and sense that they had come to the right place for healing due to general comments too often made. We're fine as long as we remain "Jesus" focused but too often we get off track and do alienate a lot of people. My reading of Wade's comment of the word conservative above refers to not a political conservative but one who sticks to the Word of Scripture. For a different take on how Christianity got coopted by going mainstream ... Chomsky on religion. Still waiting on an answer from Mr.Burleson as to whether women are allowed to preach or speak from his church pulpit. My take on his comments is that he personally is not opposed to it. Would never have a problem with a woman speaking, teaching or proclaiming the good news anywhere, particularly if she was gifted by the Spirit to prophesy or teach, and even more so if there were followers of Christ assembled together. If that's what you mean by "pulpit," I guess you have your answer. We don't have a "pulpit" at the place I serve. I think you understand what I mean by pulpit so we understand what I am referring to. My next question is have you ever had a woman teacher, preacher, or whatever gift the lady possesses lead your Sunday main service as a man might do so? I'm waiting on his answer, too. I'll likely never get it, but I'm waiting. Sunday main service? What does that mean? We assemble every day of the week. Of course we've had ladies speak, teach, in the same manner, and we will do so in the future. Ladies have taught from the platform during "the Sunday main service." Lauren Daigle was the most recent. Anonymous could be my very traditional brother-in-law and sister who are puzzled by my response to them, which is almost identical to yours. It took me far too long to learn that the language of traditional institutional-ism, is very different to that of Biblical assembling together of a New Covenant people for MUTUAL encouragement and exhortation (Hebrews 10:24-25). Such is a dialogue, a conversation, between brethren,both male and female, which does not preclude the leadership/ elders giving their counsel. I do not watch Emmanuel Enid videos but I get all the messages via podcasts. The public face via these audio messages is mostly male speakers. Over the years I have heard two or three female voices. So in that view it provides a biased view that it's all male speakers. But the dynamics on the ground as per Wade and Debbie Kaufman and others is very open and different. Both your comments help me understand where anonymous may be coming from. My understanding is that the SBC will end fellowship with any so-called member church that calls a woman to be their minister. In other words that particular church will no longer be considered a SBC. That being said,having a woman on staff as associate pastor would disqualify that church from membership in the SBC.Am I correct in assuming this? If you have had a woman leading the main Sunday morning worship service then you would be in violation of SBC practice and subject to dissfellowship from the SBC. Just asking these questions because I personally am confused about it. When I refer to a woman being called an associate I am not meaning anything else but a second senior minister and not assos pastor to children,seniors, These are sincere questions and I would like to get an answer esp from the big wigs of the SBC. I just came across this Wed Eve podcast of Wade that addresses a bunch of questions posed at the above post. In my view it is good to listen to the one hour talk. BTW it is not just SBC that is the issue but also members in a church. A (large) portion of them could be opposed to the idea. I remember Wade once preached a short series on God having attributes or characteristics of masculine and feminine. I believe there was some pushback. My thinking is this is similar to political change. Example: Feel the Bern movement. The changes are NOT for this presidency though it appears that way BUT for the next generation. Change is hard and it appears en masse for the NEXT OR COMING generations. It is highly likely there are other messages in the past 5 months that are more relevant than the one above. My impression is that message answers the questions. When I mentioned earlier about 2 or 3 messages with female voices ... In those messages the main speaker isale but a female was either answering a question or explaining. I don't want to get the SBC Gestapo onto Wade and Emmanuel Enid. And sorry for too many comments and if I caused any problems. For 'ANONYMOUS' who wrote "My understanding is that the SBC will end fellowship with any so-called member church that calls a woman to be their minister"
"... go to My brethren and say to them, 'I ascend to My Father and your Father, and My God and your God.'" I don't know where in sacred Scripture it gets any more clear that Our Lord sent Mary, a woman, to be a messenger to His messengers. My own Catholic Church calls Mary Magdalene 'the Apostle to the Apostles' because of Our Lord's direction to her. So, any proclamation announcing the severing of the SBC from all connection with any Christian entity which has used women to relay the Good News will, in effect, include severance from the Authority of Our Lord Himself, as He regarded the place of Mary Magdalene as worthy to announce TO THE APOSTLES that He had Risen from the dead. The 'pride' of men is called the greatest sin. And the mission of Satan is to use that pride in mankind to destroy their bond with their God, and to make them feel that they are their own 'authority' in this world. But it must be done by 'choice', whether an organization or a person chooses life or death, and we know that in order to live, we 'branches' need to be connected to the 'Vine'. Some thoughts for ANONYMOUS, on a Sunday afternoon, and God Bless. I personally believe that Wade is against limiting a woman's role in the church or more properly assembly in any way and my limited understanding of scripture tends to agree with that if he believes so himself. Probably there aren't many in the SBC that take that position. If we think of the church in terms of some building somewhere that is what throws us as Wade has shown us in this post. I have heard of several occasions where certain churches that call or have female senior pastors have been dissfellowshiped from the SBC so unless things have changed this is what happens when a SBC church calls a woman to a senior minister position. I am not talking about ministries to children,senior adults,visitation ect. I am talking about someone who would say fill in for the senior pastor in his absence. I am not talking about ministries to children,senior adults,visitation ect. Anonymous, I'm just wondering whether you personally think the "ministries" to male/female children, male/female senior adults, and/or visitation to males/females is different from ministry to the Sunday morning congregation. And if so, why? No difference as far as I am concerned. I am referring though to a minister that would be considered second to the main minister and would be able to lead in the senior position if the senior pastor should be away for any reason. I don't think the duties of this position would be allowed in any SBC to be held by a woman and I think that is wrong. You see it seems to be ok to have children's ministers,visitation ministers,and all other ministers as long as it is not a primary worship minister in the SBC. Mr. Burleson knows what I am talking about I guarantee you. I don't think the duties of this position would be allowed in any SBC to be held by a woman and I think that is wrong. I agree the SBC is wrong and from reading Wade's blog over the years, am confident he thinks it's wrong as well. I can't speak for him, but I think he may concede to this one point in practice but at the same time continue to blog about his understanding of scripture that refutes that particular mandate. Sometimes there is wisdom in carefully choosing our battles in order to be able to remain in the front line of battle and have a voice in a wide-range of issues. Thanks for your comment. Personally I think a woman can serve, not only as a "fill-in" pastor, but "the" pastor in the church. Cheers for Wade having the courage to bring up this and for the discussion that has followed. I do think though if a minister believes women are not second class citizens in a SBC church then lets not give them second class treatment in any way so what the big shots say. Let's practice what we preach. Maybe James got to thinking he better heed the warning of Jesus: “You completely invalidate God’s command in order to maintain your tradition.” (Mark 7:9 (Holman) so he came up with another support…the Holy Spirit. I believe that the judgment of James was guided by the Holy Spirit and this is what authenticated the decisions made. Isn't it a challenge to discern when someone states a position saying that they have "prayed" about it and believe that God is leading them to proceed accordingly? It is indeed a mystery. Sorry so long in replying to your good thoughts. I’m sure many have asked God’s direction and received an answer that guided them. On the other hand, others have used their ‘praying’ to do what they wanted to do. I think of a former pastor who told me that God had ordered him to be pastor in a larger church and he HAD to do what God told him. In less than a year, half the members left. (He said that got rid of the ‘deadwood’.) But when the church was unable to pay his salary and had the parsonage on the market to pay overdue bills, God called him somewhere else. Was the Holy Spirit against God? I think not. On the subject of “People or Steeple” would you ever move ONE TIME your Sunday Service to a State Park? The reason I ask is because it was announced to the surprise of everyone that is what our church is going to do next Sunday. I’d like some advice for our deacon’s meeting in two days. We've moved our Sunday services to parks, convention centers, and other locations on numerous occasions. Of course, my view is people are the church, so wherever the people move, the church is. “People or Steeple” makes a good point, but a town without a Steeple is as barren as Communism because a Steeple represents a place where God’s work is done. Some of the best teachings of Jesus was on hillsides, but was it ever on Sunday? If a church did not have SS, where would we learn the song “Jesus Loves Me”? I personally learn more in SS by sharing thoughts and ideas of others than I do from one man behind a pulpit. I believe if having service at a park cuts SS, that’s two strikes to start. I will say again, a church service at a park would be great other than the Lord’s Day. When your church has its service at a park, is the church building locked or is there someone there to explain to visitors etc. We lock all our buildings, but the church is open 24/7. A study for you, full of surprises: Why were church steeples first built? Regardless of the shameful beginning of steeples, what they represent now is what’s important. Steeples are like the word “Baptist”. Baptist did not name themselves but were first called the hated word “Anabaptist” because they did not accept infant baptism for salvation. I’ve been in a Muslim country where the most hated word was Baptist and Christian in that order. They called themselves “believers”. Before we arrived everyone (including children) in their building (no steeple) were beaten by a mob of Muslims. They asked us how they could cover their church windows so they could not be identified. The missionaries there were ‘undercover’. I’ve heard: “I see your church, but what’s that large building behind it?” From a long distance the church looks like two buildings because the steeple is on the small part. I lost that discussion because of thinking the steeple had to be over the head of the preacher. I replaced rivets that held it to the roof with one inch bolts. The large part is a full size basketball court also used for church activities. I’ve worked about a year on it from sheet rocking to four basketball goals. (Two 5 feet from the wall and two 15 feet) Girls from a local high school use it for their practice. The steeple pointing toward heaven can be seen miles away from a four lane highway. The gym has been used for groups having a ‘booth’ to ‘advertise their activities such as Baptist General Convention of Texas (BGCT), Southern Baptist Convention of Texas (SBCT), and “Missions” in various parts of the world. In 1989, the SBCT split from the old convention (BGCT) because the old would not accept the Southern Baptist Convention being highjack by fundamentalists that changed the glue that held Baptist together from “Missions” to “Doctrine” (‘Our way or the highway’ as seen in the firing of missionaries who would not sight their ‘paper god…the BF&M 2000). The only States that have two conventions are Virginia and Texas. by Andreas J. Kostenberger (Editor), Thomas R. Schreiner (Editor), H. Scott Baldwin (Editor)? You state your opinion, but i would like to see you back it up like these men have. Thank you, Wade, for this article, your others, and for your sermons which I see on Sundays at The Wartburg Watch. I got caught up in a John MacArthur-ite church, pastored by one of his Master's Seminary graduates. It was an incredibly abusive, authoritarian church in which good Christians - men and women (most conservatives) were either subjected to church discipline, excommunications/shunnings for the slightest dissent/question, or quickly fled with their families in tow. There was no freedom in Christ, no having been set free, no joy, no Holy Spirit. Rules, rules, and more rules. They taught the insufferable, fallible doctrine of men - Patriarchy, that women are to obey and to submit, something about the Garden of Eden. So in their twisted logic, Jesus atoned for Adam's sin, but not Eve's. Therefore Eve is more powerful than Jesus???!!!! If power is vested in order of creation (their argument) than wouldn't dirt, rocks, water, and plants be more powerful than man? Their arguments insult the nature of God. The Holy Spirit functions in men but is deficient in functioning in women? Come again? Just nonsense. Crippling teachings. We are a priesthood of believers. Around the world The Gospel has been carried by women and men, for thousands of years. That's how it should be.